Essays in this issue tackle the historical phenomenon of architectural and sculptural reuse in South Asia, arguing that the phenomenon of reuse furnished a unique entrée to specific historical processes, such as the establishment and consolidation of new rulerships, changes in religious and nonreligious iconographies and their reception through time, and the emergence of new ways of building. Contributors include Molly Emma Aitken, Katherine E. Kasdorf, Sunkyung Kim, Alka Patel, and Tamara I. Sears. 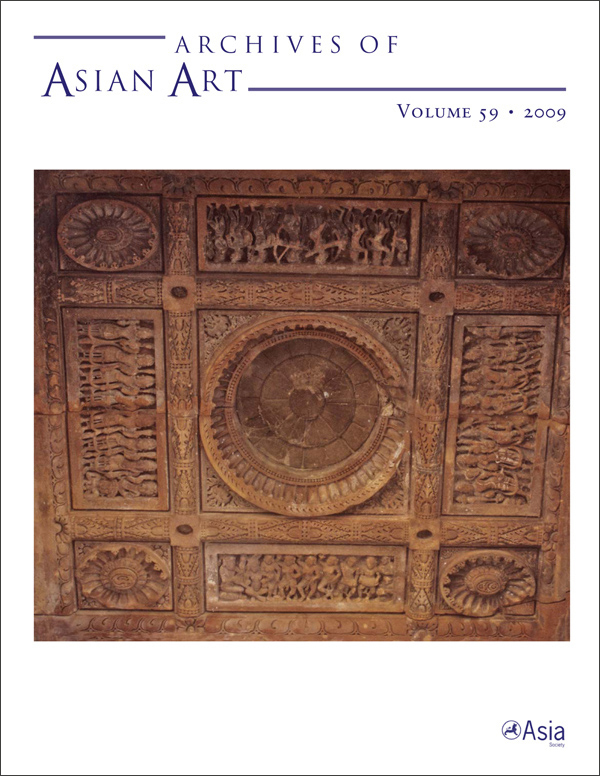 View the table of contents for Archives of Asian Art 59:1, at the journal's online site.